Storm Update at 10 PM Friday.. 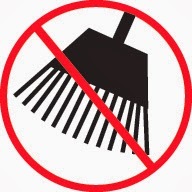 If you were thinking of raking the leaves tomorrow, don't. If you were considering an outdoor activity on Saturday, find a good movie. Winds are coming on Saturday...yes, with some rain as well. And something else, something white. The models are all pretty much in agreement: a strong low pressure center will swing across southern Vancouver Island and then across southern B.C. on Saturday, with some serious wind and rain for the region. Here is the UW WRF model forecast for sea level pressure (solid lines), winds (barbs), and temperature (shading) for 5 AM Saturday. An elongated low center is just offshore, with very large pressure differences behind it. Nine hours later the low is centered over Vancouver, BC with a very large pressure gradient over western Washington and the coastal waters...these will bring big winds, gusting to 50-70 mph along the coast and 30-60 mph over inland areas. The sustained wind forecasts are shown below (gusts are stronger). At 5 AM, when the low is still offshore, the strongest winds (30 knots and more) will be along the coast and the inland waters of western Washington. By 11 AM, sustained winds of 35-40 knots will dominate the coast and winds in the interior (like Seattle) will greatly strengthen....stronger along the water. But the real excitement will occur as the low moves to the northeast (5 PM). Winds along the coast will strengthen and a strong westerly wind surge will move eastward down the Strait, raking northern Whidbey Island, with sustained winds of around 40 kts. Here is a chart of the predicted gusts at that time. Impressive--60 kt gusts over the eastern Strait. Expect some power outages on Whidbey and along the coast. This system will be a wet one. For example, the 24-h totals ending 5 AM on Sunday reach 2-5 inches of liquid water on the highest peaks, and 1-2 inches of water on most of the windward slopes. But a lot of that water will not fall as rain in the mountains, but SNOW. Lots of snow. This will be the first big snow event in the Cascades this season--the predicted 24-h snow totals ending 5 AM on Sunday are over a foot in favored locations. The first major wind/rain/snowstorm of the season...its been about time. Enjoy. Announcement: Ivar's Mukilteo Landing restaurant (my favorite weather-themed eating establishment) will have a special dinner and a presentation (by me) to commemorate the tenth anniversary of the on storm that destroyed the restaurant in 2003. It will take place next Thursday, November 7. More information here. Limited to 40 people. Seattle Residents: Please consider voting for Sue Peters for School Board. Check out my previous blog for more information. Will the Ultra Wealthy and Disinformation Triumph in Seattle's School Board Race? An election contest of national importance is occurring here in Seattle: the Seattle School Board race between Sue Peters and Suzanne Estey. One one side, there is the "corporate ed" or "school reform" lobby supported by billionaires and multimillionaires. Individuals and organizations pushing Charter Schools, Teach for America amateur teaching, heavy testing of students, fuzzy math, substantial control of teachers, and national Common Core standards. They are supporting a candidate with little track record in the Seattle public schools or education but from a business background: Suzanne Estey. On the other side, there is the candidate I am supporting: Sue Peters. An individual with a decade of intense efforts in education and Seattle Public Schools, and someone who has joined me in pushing for better math instruction. Sue has volunteered in the classrooms and was invited to serve on high level task forces such as the Superintendent Search Committee and the Strategic Planning Committee that will set the course of the district for the next five years. She is against Charter Schools, supports treating teachers like professionals and not factory workers, and has misgivings, as I do, about the Common Core standards (whose math standards are inferior to the ones we have now!). Sue is supported by many of the Democratic organizations in town, labor unions, and national educational reformer Diane Ravitch, to name only a few. What makes this race so critical is that the Seattle School board now has a 4-3 majority that has made giant strides and one that has pushed back on corporate-ed education. If Sue wins progress will continue. If she loses, the corporate-ed viewpoint will take over. The wealthy interests, including the ultra-rich like Steve Ballmer, who don't live in our district or have children in our schools, are now investing huge sums of money in this election. Historically unequaled amounts of funds. They have even found a way around the contribution limits by establishing a Pac called Great Seattle Schools. You will not believe the money they are spending on polling, consultants, print and other ads, and media. First, they have collected roughly $130,000 in candidate donations. The Ballmers are on the top of the list. And their Pac, Great Seattle Schools, has ANOTHER $ 95,000, with huge sums from Matt Griffin and Chris Larson. A total of around $ 230,000! Never has a Seattle School Board race had anywhere near that kind of funding for a single candidate. Not even close. What has Sue Peter collected? No Pac for her, just $ 35,000. Roughly 15% of Estey's resources. Talk about David versus Goliath. In a community meeting, Suzanne Estey claimed that she had no idea who was sponsoring her (proof on this video at 10:30 into it). As they say, if you believe that I have a bridge to sell you. You dance with the one that brung you. Estey, an inexperienced candidate with little past interactions with the School District, is being supported at record levels by folks with a clear agenda. You fill in the rest. A number of media outlets have spotlighted this extraordinary push by the wealthy to take control of Seattle Schools (e.g, KUOW, the Seattle Weekly). But as bad as this heavy-handed effort by plutocrats to push their candidate might be, perhaps even worse is the disinformation campaign by Estey and her campaign. For example, Estey is constantly calling the current Seattle School dysfunctional (she states than in the video noted above). The truth is very different. Under this active school board, the scandals have stopped and student performance has risen substantially. Students are flooding into Seattle Public Schools. And as documented by the respected Seattle Schools Community Forum the current board has acted unanimously or 6-1 roughly 98% of the time. The majority of the current school board is supporting Sue Peters. Whose election do you think would lead to a more collegial functioning? The candidate that is calling them names or the one they support? Estey's mailers have including patently untrue statements, including that Peters is against the Seattle School District accepting money from the Gates Foundation. She claimed she did not not know what was going into the mailers. This is not an acceptable line for a candidate for a major office. And Estey appears to be embellishing her resume and claiming positions and experiences that don't jive with the factual record (more on her embellishment here). For example, she has claimed in public fora that she "ran Gary Locke's office" and on her website she put down that she was a "Federal Legislative Analyst for Washington State Governor Gary Locke". The truth? She was a three-month summer intern in the office (see the Seattle Schools Community blog for details and proof). There are many more of these excursions from the truth. Do you want a candidate that is not being frank about her background? In summary, this is a critical election. One candidate, Sue Peters, has great experience with the district and education issues (see my past blog or the Sue Peter's web site for more information on this). A candidate with coherent and well thought out positions supported by facts. The other candidate has little experience, but is being pushed by an agenda-heavy collection of rich folks who thinks their business experiences make them education experts. And this candidate is a bit loose with the facts. If you live in Seattle, please vote for Sue Peters and support her candidacy. Some of you may not be thinking of voting in this election, please.....pull out that ballot and help Seattle kids by voting for Sue. This election will be close and your vote can make a real difference. Announcement: Special Dinner and presentation (by me) on the storm that destroyed Ivar's Mukilteo landing restaurant in 2003. Where? When? At the rebuilt restaurant, next Thursday, November 7. More information here. Limited to 40 people. A year has passed since Superstorm Sandy raked the northeast U.S., with over 60 billion dollars of damage to Long Island, New York City, and New Jersey and the loss of over 100 lives. What did we learn from this storm? 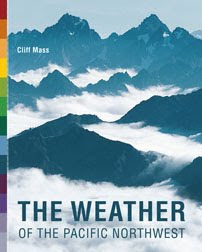 Was it a harbinger of things to come under global warming? As we will see some of the accepted "truths" about this storm were really fictions. were discussed, including the National Weather Service's inferior computers. And the concerns of the American people and their representatives in Congress led to nearly 25 million dollars of the Sandy Supplement being dedicated to a new computer for weather prediction. As the new head of the National Weather Service Louis Uccellini has stated on several occasions: the implications of this powerful new computer (available in about a year) will be revolutionary. Good news. A major communication snafu occurred with Sandy. As the storm approached the coast, it was losing its tropical characteristics and becoming more like a midlatitude storm (the fancy name for this is extratropical transition). So right before landfall, the National Weather Service downgraded Sandy to a post-tropical cyclone and responsibility for forecasting it was handed off to local Weather Service forecast offices. Hurricane watches and warnings were dropped, as one of the most dangerous storms of the century approached the Northeast coast. Keep in mind that the storm was still as strong as a hurricane, with maximum winds of 85 mph. 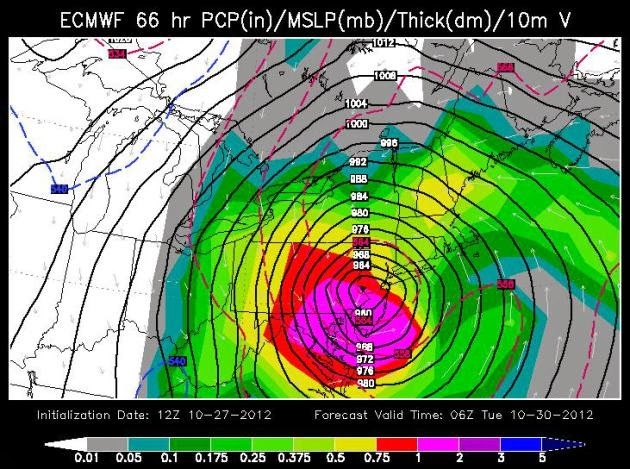 And Sandy was much larger than the typical hurricane. The name change was terribly confusing to the media and many local authorities, some of which started to downplay the storm. Big mistake. The National Weather Service recognizes these problems in the post-storm review and has changed its strategy...next time the Hurricane Center will stay with such storms through landfall, and the warnings/watches will continue. Will Storms Like Sandy Be More Frequent Under Global Warming? Probably NOT. The media and politicians seem to believe something that is not true. That under global warming we can expect more storms like Sandy. Let me say this clearly: there is absolutely no reason to expect this. "we demonstrate that climate models consistently project a decrease in the frequency and persistence of the westward flow that led to Sandy’s unprecedented track, implying that future atmospheric conditions are less likely than at present to propel storms westward into the coast." Second, theoretical and modeling studies of the effects of global warming on hurricanes and tropical storms have determined that there will be no increase in the frequency of weaker hurricanes under global warming. 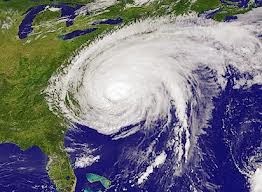 Superstorm Sandy was a weaker hurricane (category 1) before landfall. So there is NO reason to expect more of such storms under global warming. But the facts noted above have not stopped governors, mayors, newspapers, and the general media from repeating this canard, time and time again. Really frustrating! Global warming is a serious issue and society deserve facts, not baseless hype. Few areas of the U.S. enjoy such varied and variable weather as the Northwest. Last week we were stuck in Fogmaggedon, a very unusual string of dense fog days (most extreme since 1988) that were accompanied by light winds and a startlingly strong inversion. Temperatures varied by 30-40F between sea level locations and others on the slopes. And then a sharp trough passed on Sunday and we moved into VERY strong northerly and northeasterly flow, with bright sun and cooler temperatures. The moisture levels of our air plummeted to values not seen since last spring. Do you feel your skin drying? 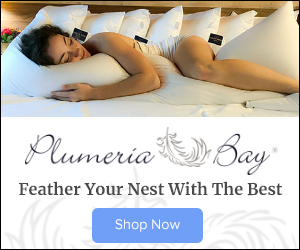 The static electricity building in your carpeted rooms? Here are the dew points the past 12 weeks at Sea Tac Airport. Remember dew point is a good measure of moisture in the air (low dew points dry, high dew points lots of moisture). Wow! Dew point dropped to 29F today, from the mid-40s of the foggy period, and MUCH less than that humid period in September. Take a look at the last 72 hours of observations at the UW. Relative humidities (fourth panel down) have dropped to around 45%, with winds gusting to 20-25 knots. The bottom panel shows solar radiation....a perfect curve today since there were no clouds. Here is the upper level (250 hPa pressure) map at around 35,000 ft yesterday showing the heights of that pressure surface and the wind speed at that level (in knots). This level is very close to the one most commercial jetliners fly at. The strong winds are in narrow ribbons...the jet stream. A high-amplitude ridge is over the eastern Pacific, with very strong (up to 160-180 knot) northerly winds. I was flying from the East Coast Sunday night and experienced these strong winds (and associated turbulence) close up. 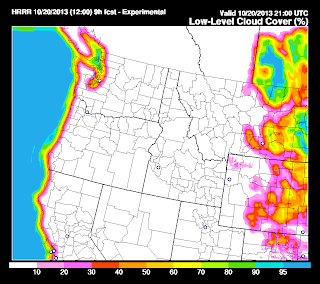 winds aloft produced areas of huge winds--particularly over eastern Washington. Here are the max wind gusts for the past 24h in that area (the Tri-Cities are in the lower right corner). 110 mph at Rattlesnake Mountain and 77 mph at another rest location. Lots of winds in the 40-50 mph range around the region. Take a closer look at the Rattlesnake Ridge winds. Mamma Mia! Sustained 80-89 mph with gusts over 100. These are truly hurricane-force. I bet the rattlesnakes are shaking tonight. Can you imagine how envious those eastern folks are over our weather fun here? With clear skies and cool/dry air over us, expect minimum temperatures to drop, particularly in sheltered locations. Many of you will experience 30s tonight and in some of the cooler/more sheltered spots, frost. Good time to protect your plants. The school board race is a critical one this year and I am strongly recommending Sue Peters for the position. She has extensive experience in Seattle Schools and is a strong advocate for quality math. 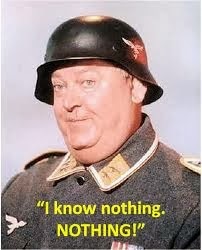 I know here very well. Her opponent, has had few interactions with the school district and is being supported by extraordinarily wealthy interests in the area who wish to transform our schools towards the corporate-ed model (Charter Schools, Teach for America, lots of testing). Don't let them take control of the district. Vote for Sue Peters if you live in Seattle. How unusual has been this month's fog event? A lot of folks have told me that they never experienced a fog event like this before in Seattle. Others suggested it is unique for October. Personally, I can not remember anything like this in October for many years. But we need better, more quantitative, answers and there is no one better to ask than the individual I call Dr. Fog, a.k.a. James Johnstone, a local scientist that was worked for years on the West Coast fog and low ceiling problems. This guys specializes in low clouds. 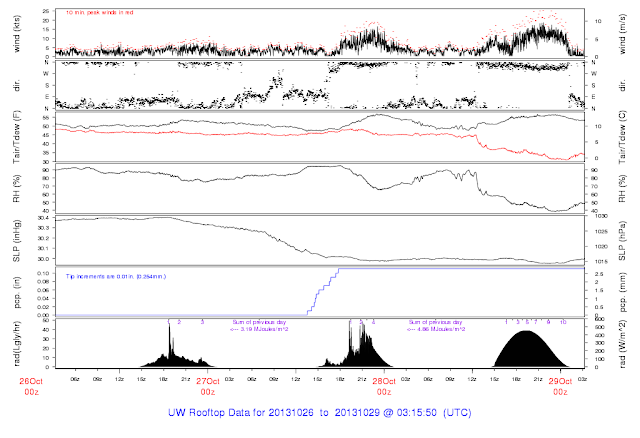 Examining Seattle-Tacoma Airport data, Dr. Fog found all the hours since 1951 for October 1-23 with the cloud ceiling (the height of the bottom portion of the cloud deck) below 400 m (1300 ft) , thus representing situations with either fog or low stratus. Depressing stuff. So, this October was only the worst in 25 years! I feel better already. But for those less than 25 years old or folks living here for shorter periods, this IS the worst they have experienced. Let's compare 2013 against 1988 using other graphics provided by Dr. Fog/Johnstone. 1988 had considerably more hours of low ceiling than 2013, but we had more low ceiling hours during the middle of the summer. The Victoria Times-Columnist also noted that the past period is the worst since the foggy times of 1988 and 1986. A company called Weatherspark has some nice summary graphics. Here are their hour summaries of weather conditions for 2013 and 1988. Grey is fog, green is rain. First, 2013. Big dose of fog the last few weeks. But no rain. 1988. More fog. Plus rain mixed in. (note this figure goes to the end of October). The implies they could not escape as easily by ascending into the mountains. MUCH worse. During the past few weeks, you all knew you could escape the dismal low clouds with a short drive or climb. Anyway, I hope everyone is feeling better....1988 was worse. But we did experience the most foggy two weeks in October since 1988. 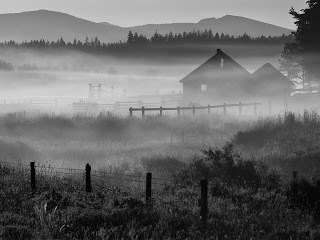 And keep in mind that October is fog season in the Northwest. Tomorrow it is will all change as a strong trough moves through form the northwest. Fog BELIEVE IT OR NOT! Northwest fog and can be extreme and surprising. Here are some examples. 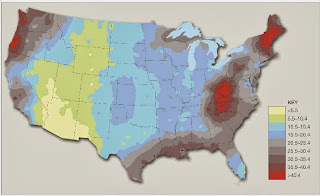 (1) The foggiest observing location in the lower-48 states is found at? 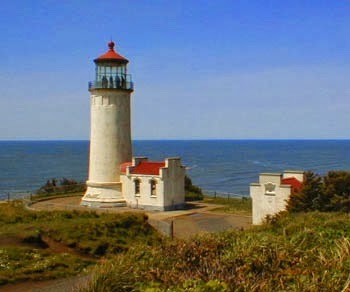 The North Head lighthouse, north of the western terminus of the Columbia River experiences, on average, 106 days with heavy fog. (Heavy fog is defined as fog causing visibility to drop below 1/4 mile). Here is a map showing the average number of days with heavy fog each year across the U.S.. Oregon and Washington are not second rate in heavy fog. Yes, New England and the Appalachians do well on an annual basis, but we in the Northwest have fog more consistently, month to month, then they do! Tucson is a bad place if you enjoy fog. (2) Mosquitoes don't like to fly in fog. Turns out that that constant impact of little droplets is disconcerting to those buzzing pests (see below). In fact, fog is more unpleasant for them than rain! Another reason why the Northwest rarely has a major mosquito problem. (3) Fog can create islands in the sky! Don't believe me? Check these pictures from Bellevue's Summit neighborhood Thursday morning. Looks like the San Juan Islands. (4) Fog can flow like water! Check out this video for the proof! (5) The most difficult thing to believe? The fog period will be over on Sunday as an upper trough comes through. Here is the upper level (500 hPa) chart for Sunday at 11 AM. Strong trough! And we are then on the eastern side of the ridge with lots of flow over us (that is indicated by large number of height lines close together). Compare that with the situation Friday morning (today) in which we are in the middle of the ridge and the strong flow is way north of us. You will notice a small low right off our coast that deepened the moist layer on Friday AM. I can not remember EVER seeing such an extreme temperature range over our region at one time. Here are the maximum temperatures on Tuesday. In places where the low clouds never burned off---northwest Washington north of Everett--temperatures only got into the upper forties, typical mid-winter highs in the area. In contrast, at some stations on lower slopes between 1500 and 2500 ft, temperatures surged into the 70s and 80s. YES, 80s. Mid-summer heat wave territory. The reason, of course, is that high pressure has produced an extraordinarily large and shallow temperature inversion. The vertical sounding at Quillayute, on the Washington coast, shows conditions yesterday morning. Roughly a 15C (27F) increase in temperature in the lower few thousand feet. Just as a boa constrictor envelops and tightens on its prey, so is the high pressure over us tightening and strengthening the inversion over our heads! 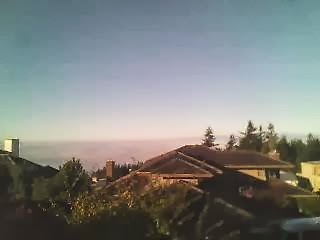 Each day the inversion layer over the Puget Sound lowlands has lowered and gained more better definition, and with it the tops of the low cloud layer have descended. We are being squeezed....meteorologically, of course. The latest pilot reports report the top of the clouds are around 1200 ft, allowing some of the higher eastside hills to be uncovered. The inversion is really extraordinary, with temperatures in the forties near sea level, while sixties are a few thousand feet above...even at night! During the day some low mountain locations jumped into the upper 70s to near 80F, while some Puget Sound folks were 30+ degrees cooler. Amazing. To illustrate, look at the max temperatures Monday in the region. The dark green shows locations with HIGHS in the forties. Only a few miles away and perhaps 2-3 thousand feet up, observation sites reported mid-70s and higher. With bright sun. I have access to some data that the National Weather Service (NWS) does not, the weather data from TAMDAR commuter and short haul aircraft. The fact the NWS does not get this data is an unfortunate and embarrassing story for NOAA, but I have already told that tale in a previous blog. Anyway, this figure is a bit technical, but it shows a plot of temperature (right lines) and dew points (left lines) from some aircraft coming into Seattle-Tacoma Airport on Monday evening. HUGE inversion, with temperature increasing with height by about 20F in 2500 ft. (the numbers of the left give the pressure level 850 hPa is about 5000 ft). There is very dry air above a very shallow saturated layer (where the temperature and dew point are on top of each other). 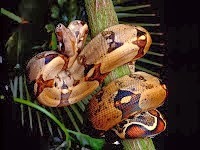 Why is this like a boa constrictor? The persistent high is strengthening the inversion in two ways. First, there is sinking motion with the high--stronger above and weakening near the surface. Sinking causes compressional warming and thus the warming is greater aloft than near the surface....this helps the inversion strengthen and lower. And high pressure and associated sinking stops clouds from forming aloft, which allows good infrared radiational cooling from the surface and the cloud tops. So we got a heater aloft and a cooler near the surface. What does that spell? 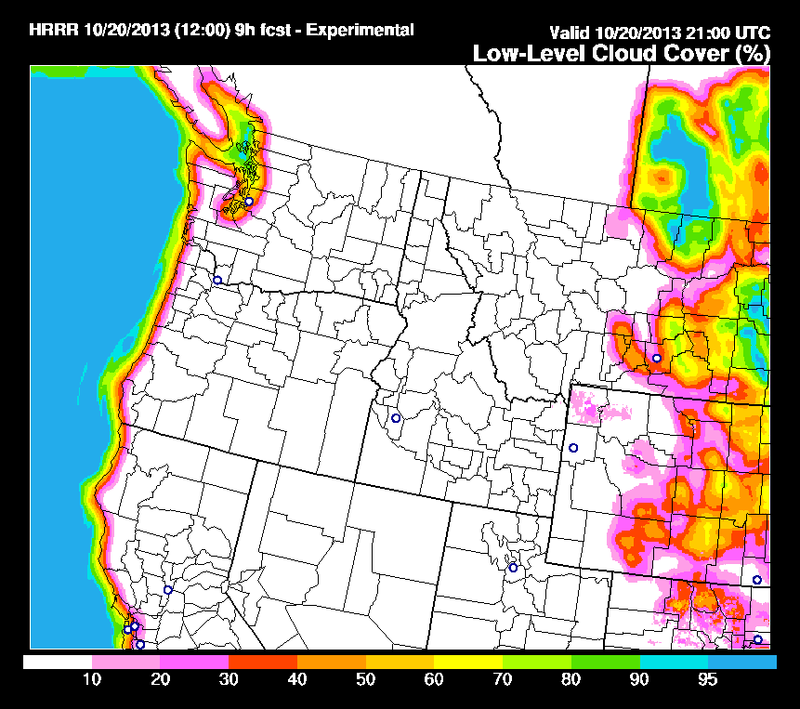 The inversion is getting so shallow, that we may have a chance to burn through it on Tuesday. The extent of the cloud coverage definitely was a bit less on Monday than on Sunday. 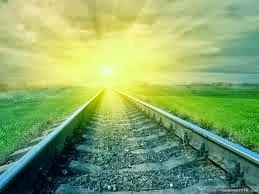 Amtrak has the potential to tap the huge demand for sun and warmth. Just run regular "SunTrains" from Seattle across Steven Pass to Leavenworth or Wenatchee. Sun tan lotion included. The train could make a stop at the elevation at warmest temperatures. They would make millions. We are now in the middle of a highly unusual situation for mid-October: a several-week period of high pressure, drought, and dense low clouds and fog. I have forecast here for many decades and I can not remember a situation that is even close. The underlying cause? An extraordinary persistent ridge of high pressure over the eastern Pacific and West Coast. Today, there were huge contrasts across the the state. In the northern two-thirds of western Washington the clouds held in most of the day with temperatures only reaching about 50F---roughly 8F below normal (see satellite picture at 4 PM below to see cloud distribution). Many of you awoke to light drizzle-- a very bad sign, since drizzle is associated with deep stratus/stratocumulus that are difficult to burn off. In contrast, the mountains and eastern Washington were glorious with bountiful sun and temperatures getting into the mid-60s. Here are the max temperatures today. What a huge contrast! Highs in the 40s over Puget Sound and parts of NW Washington, while 70s occurred over the eastern slopes of the Cascades, portions of eastern Washington and over far southwest Washington. Nice in the Willamette Valley. So if you live near Puget Sound, sun is about an hour's drive away. To illustrate the contrast, lets look at the temperatures during the last two weeks at Seattle-Tacoma Airport compared to the normal highs and lows. NOT ONE DAY HAS REACHED THE NORMAL HIGHS! Many days are 5-10 F cooler than normal. But look at Yakima (see below) and you find a completely different story. Normal or above normal temperatures for many days and a high today of 75, roughly 25F warmer than in the west. In a desperate, sun-deprived state, I head to the eastern slopes with some friends for mountain biking fun. It was around 47F in Seattle with some light drizzle. Miserable. As we started gaining altitude east of Issaquah we entered the bottom of the cloud deck and temperatures fell as low as 42F (due to evaporation of the cloud droplets). My friends were perhaps doubting my meteorological skills. But as we started climbing east of North Bend a miracle occurred, the skies cleared completely. Temperatures rose rapidly into the low to mid-50sas we approached the pass, and by the time we reached Cle Elum, the temperatures had warmed into the lower 60s. By mid-afternoon the eastern slopes were in the mid to upper 60s. Here is the view from a ridge above Roslyn, Washington around 3 PM. Heaven. Returning to Seattle the wall of clouds was awaiting just east of North Bend. We were ready to turn around. Picture taken by Roberta Spiro east of North Bend. The amazing/depressing thing is that the models are forecasting the high pressure to hold in place for the rest of the week. So the stratus and low clouds are not going anywhere soon. Here are the upper level (500 hPa heights) from the European Center mdoel for today at 5 AM, Wednesday, and Friday. The ridge remains. What happens when the weather radar sees the sun? Should You Buy A Season Ski Pass?